Women often neglect their own health as they care for others. As Venkataeswara Hospitals prioritises preventive healthcare, we recommend that women meet a gynaecologist on a regular basis, whether or not they feel there is an immediate need to do so, in order to prevent disease and stay healthy. From a girl to a woman to a mother and beyond, each stage of a woman’s life has distinct physiological characteristics associated with it. 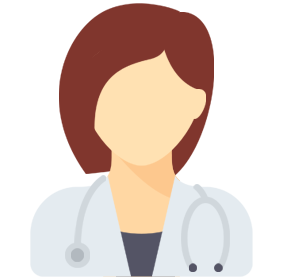 Our team ably handles women’s issues of various kinds, including pregnancy, infertility, late onset of puberty, polycystic ovary syndrome, delayed or missed periods, vaginal bleeding, etc. Our team of expert obstetricians and gynaecologists treat women and girls of all ages. Visit an OB-GYN (obstetrician-gynaecologist) frequently during pregnancy to care for both mother and child, every step of the way. Nine months is a long time – and yet as parents watch a small clump of cells grow into a foetus, into their son or daughter, they may wonder how the three trimesters passed so swiftly! Stay safe and healthy during the journey of pregnancy with a trusted OB-GYN consultant.